3" on center Steel Slatwall. 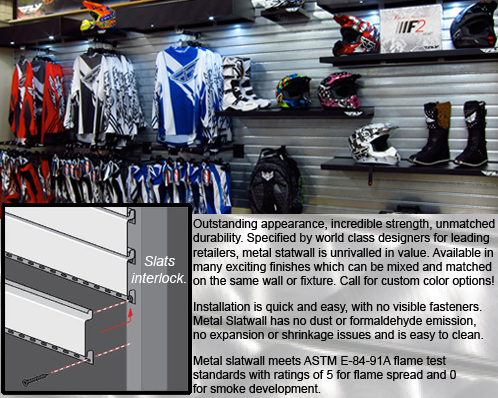 Enjoy the beauty of slatwall with the strength of steel. The metal slatwall is a system of vertical slats that interlock to form an uninterrupted wall of metal slatwall. Palay Display has been in the store fixture and retail display industry since 1945!